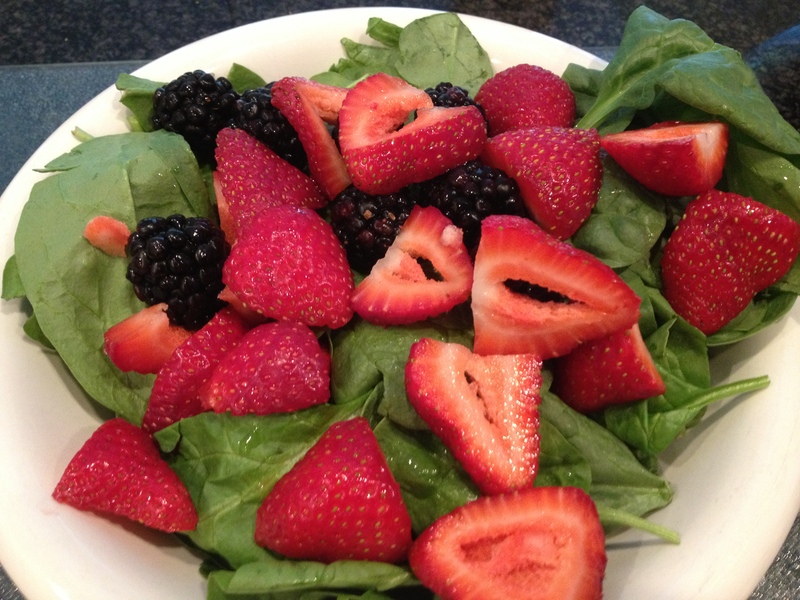 Tonight I put a bunch of blackberries and strawberries over fresh spinach. 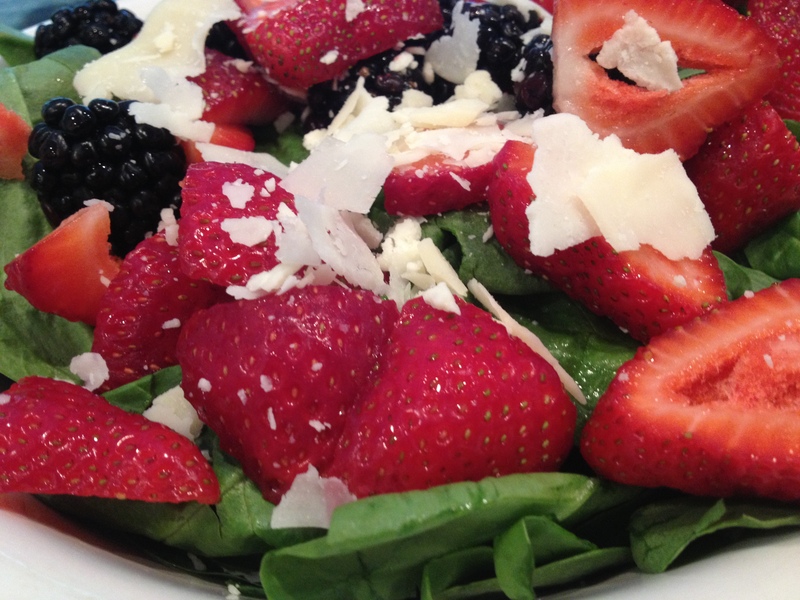 Sprinkled with fresh parmesan cheese. 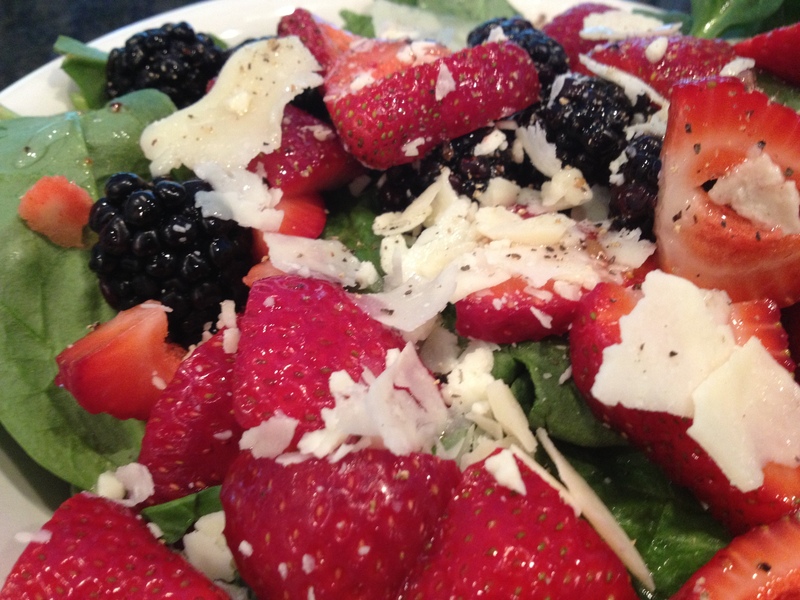 And poured some Hendrickson’s dressing over the top. Oh, and fresh cracked black pepper of course! 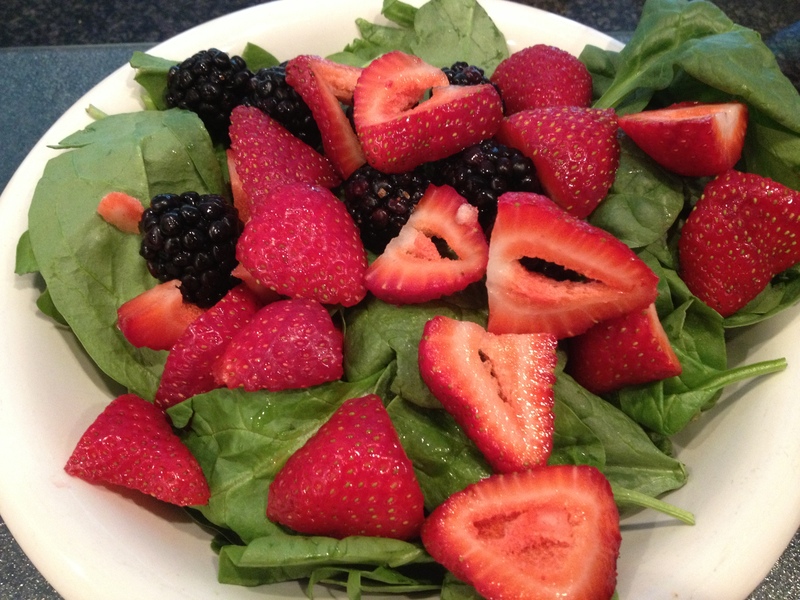 This entry was posted in Recipes, Salad, Vegetables and tagged blackberries, Hendricksons, parmesan, spinach, strawberries. Bookmark the permalink.